How many nations have a poet as their hero? Not many. In most Ukrainian public school rooms you will see a picture of Taras Shevchenko. 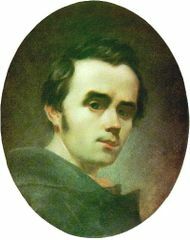 The first picture (above) is a self-portrait. He was a painter, too. He died at the age of 47. "O my Ukraine, my lov'd Ukraine! 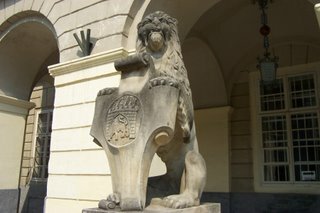 L'viv is "the city of lions." 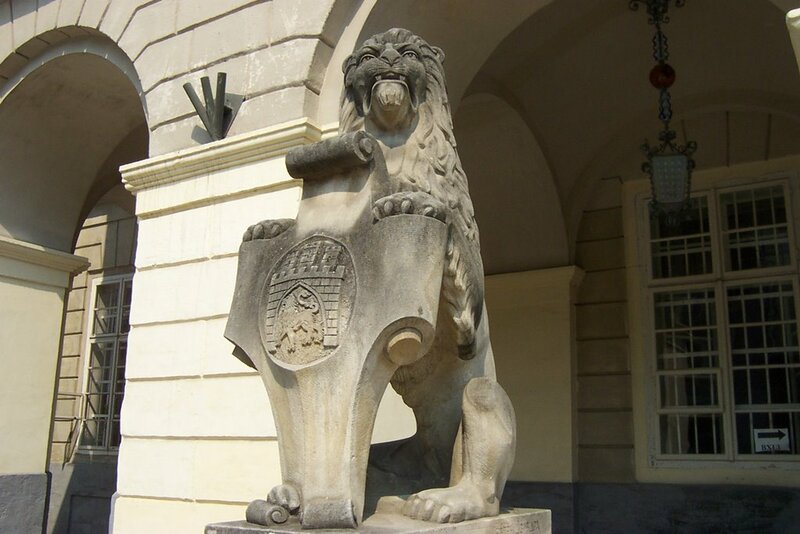 There are over 5000 lion monuments in L'viv. 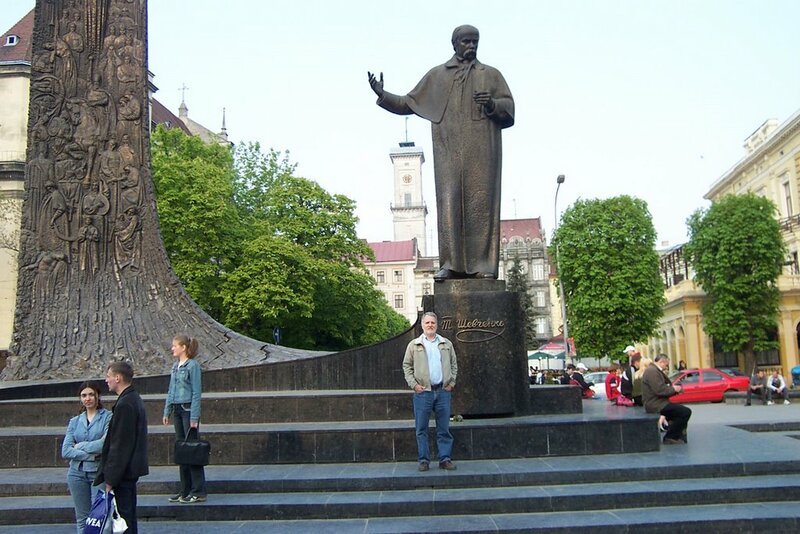 According to the ancient chronicles, Lviv was founded in 1256 by the Prince of Qalicia and Volyn Danylo Romanovych, who named the town in honour of his son Lev ("lion"). With a much stronger European spirit than Russian, L'viv reminded me of Salzburg or Innsbrook in Austria. L'viv boasts of having the 3rd most beautiful opera house in Europe and it is the first Ukrainian/Russian city to introduce coffee to its people (the coffee was a gift from the Turks to a Polish military leader). After a 1 day conference in Lutsk on May 2, I went to L'viv for four days and visited with and learned from the staff of Hosanna Church. I also attended their vibrant Sunday service and was asked by Dema, their energetic lead pastor, to bring a brief greeting and meditation from the Scriptures. I had a great time with Tim and Heather and their children, with Paul and Dema and Natalie, Zorin, and Masha, and many more sisters and brothers in Christ. It's good and great to see you back blogging! Thanks. I visited your "Garden" recently. Good stuff.